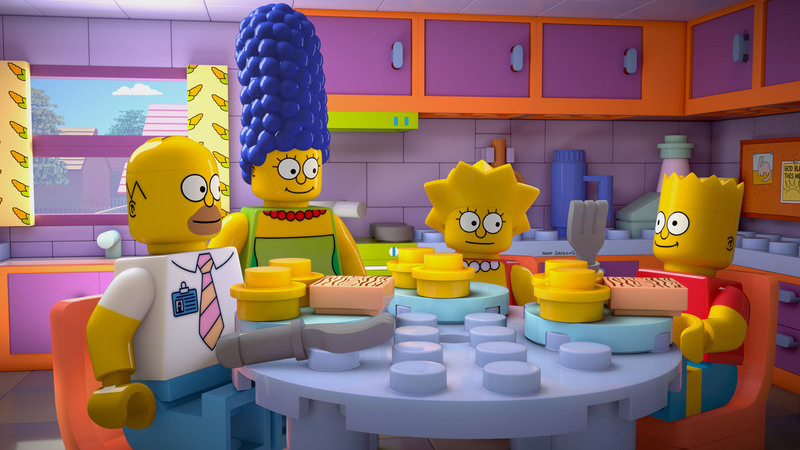 This weekend will see the first airing in the US of Brick Like Me, a special Legofied episode of The Simpsons. Ahead of the release there's lot of promotion about, giving us a look at the Lego version of Springfield, and a somewhat frustrating vision of what The Simpsons characters look like as proper Lego minifigures - Not the molded head creations that have made it into production in the Lego The Simpsons range (oh how I long for a Marge Simpson hair-piece I could use on any minifigure). The episode appears to take place in version of Springfield where being made of Lego is the norm. Through interesting with a Friends-esque construction set, Perky Patty's Princess Shop, Homer starts to revert to his normal 2D animated self. Continue after the jump for the episode poster, stills, and clips!